Buying a jack for your garage seems like a simple enough task, as, after all, they all do the same thing: lift cars. 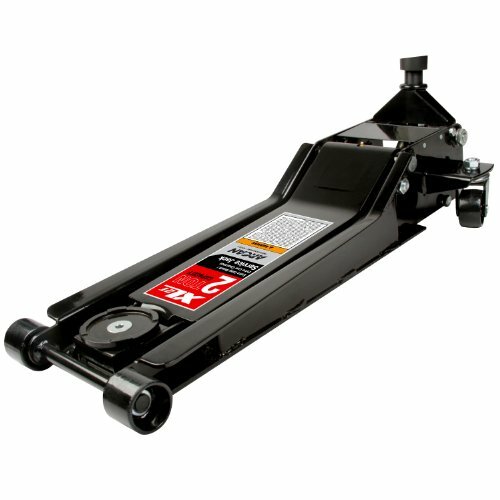 However, there is more than meets the eye when it comes to floor jacks and getting the right one can save you time, money and in some cases, can mean the difference between life and death. This is perhaps the most crucial feature of any jack and should be right up there on your list. 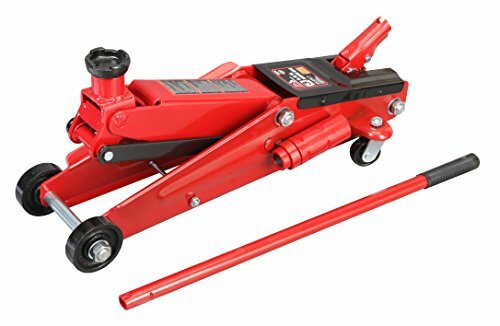 Although jacks normally don’t bear the full stress of the load, as a general rule of thumb a good floor jack’s lifting power should match or exceed the total weight of the vehicle you intend to use it on. A regular hydraulic jack works just fine with a majority of standard vehicles like SUVs or sedans. However, if you own say a Lamborghini or any other vehicle whose base is just mere inches above the ground then you would need a low profile jack that can easily slip underneath such cars. For trucks with a high ride height, then a bottle jack should be what you’re looking for. 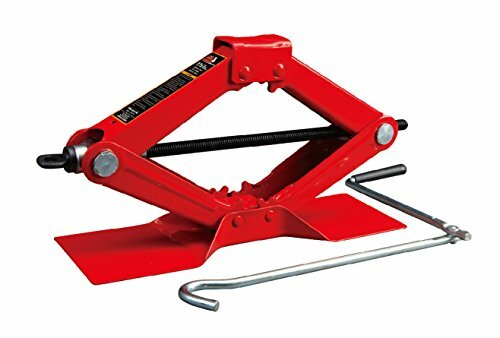 It is important to get a floor jack that is durable as constantly replacing them will cost a lot of money in the long run. While it’s not easy to determine which ones are long-lasting, a good give away is the material make up of the jack. A good finish (polished and well painted) is one quality of a good jack while a shady paint job with visible overspray (usually a smokescreen for poor metal quality) is an indication of one you should definitely avoid. Those with many plastic parts don’t last long, go for those that are predominantly metallic. It is also good to keep in mind that aluminum is lighter than steel if portability is among your concerns. A regular jack will lift a car in about ten strokes. However, those that incorporate dual lifting pistons tend to get the job done in seven strokes or less. There many other factors to consider like floor space and design however always have quality as your top priority. 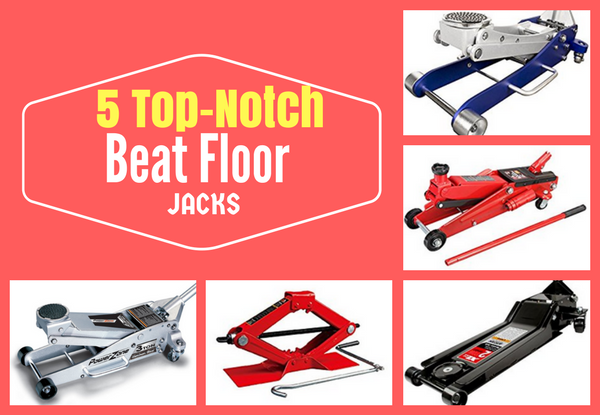 There are a lot of good and quality jacks available in the market and we’ll be taking a look at a random pick of five top-notch floor jacks which include: Arcan ALJ2T, Powerzone 380044, Arcan XL2T black jack, Torin T83006 jack and the Torin T10152 Scissor Jack. The Arcan is a deceptively small jack, however, make no mistake about it, it has immense power and can reach a commendable 19-1/4 inches in lift height. It also has good speed as this is attainable in just under ten strokes. Because of its low profile, it’s perfect for cars with low ride heights as it fits quite well under bases not less than 3-1/4 inches from the floor. There is even enough room left over for an additional pad. The jack is quite easy to move around as it made from lightweight aluminum and weighs a little under 50 pounds. It also has protective rubber saddles that prevent damage by alleviating contact between metallic parts and the vehicle. The handle is side-mountable which eases placement and portability. This jack specifically targets the heavier vehicles. It’s made of steel and aluminum giving it just the right balance of strength and weight. It can reach incredible lift heights of up to a maximum of 18-1/4 inches in just half a dozen strokes and lows of not less than 4 inches which means it can be used on a significant number of low ride cars. 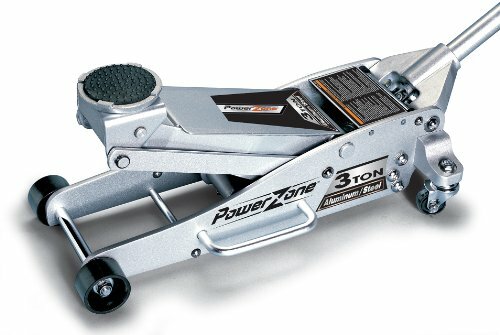 At 65 pounds, this Powerzone jack is considerably lighter than most three-ton jacks that average more than seventy. The jack operates on a hydraulic system that is fast and almost effortless thanks to its dual-cylinders. It also has protective saddles and an overloading safety valve. Well if you know your jacks well, then it shouldn’t come as a surprise that another Arcan product makes the cut once again. The XL2T is a two-ton jack that is a classy black in color complimented by a sleek design that gives it a rather cool and glamorous touch. Its maximum lifting height is an impressive 24 inches; however, it’s not its lift power that impresses but rather its ability to go as low as 2.75 inches is what really catches the eye. This jack has a consistently flat shape and a really long chassis (32 inches to be exact) which means it can get to virtually any point under any low ride car. It also has an ingenious handle design (U-shape connection) that makes the lowering as fluid as water. 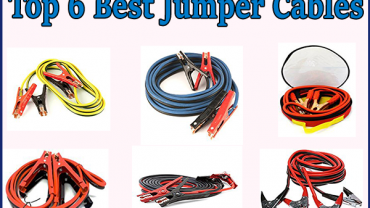 This jack is effective on heavy vehicles and more specifically targets SUVs. It’s all stainless steel with this one, as it is built for sheer strength more than anything else although it is rather durable as well. Its long neck design coupled with an extension adapter allows the jack to reach incredible lift heights of over 20 inches making it perfect for high ride vehicles. It has a minimum lift height of 6 inches so it’s not really ideal for cars with little ground clearance. It also incorporates a safety overload feature and robust wheels that eases mobility. Last but least is the T10152, a jack with a maximum lifting height of 15.4 inches at full stretch and a minimum of 3.75. 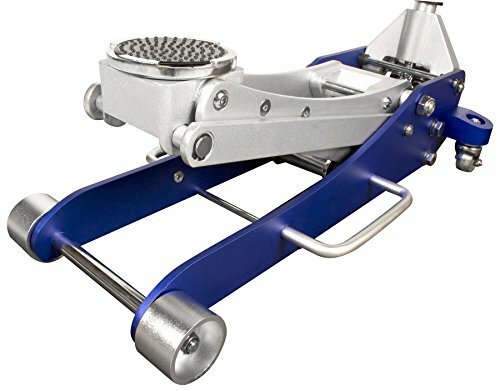 Its flat head ensures it does not put too much stress on any part during lifting. It can handle up to two tons which is comfortably more than what most cars weigh. Although the jack requires a little more effort than its hydraulic counterparts to get the job, it has a long handle that makes the revolutions effortless. The T10152 is collapsible and takes up very little floor space making it ideal for tiny garages.